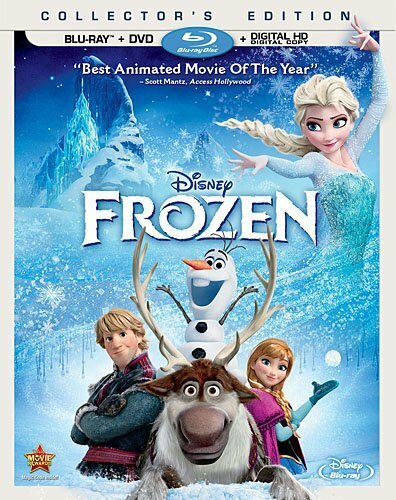 FROZEN is Disney’s newest animated film, and has taken the nation-if not the world-by storm! The sweet story of sisterly love and the fabulous soundtrack make it perfect for every family! Did you know that you can now meet your favorite FROZEN princesses-Anna and Elsa-at Disney’s Magic Kingdom Park? And you can draw the sweet snowman, Olaf, at Disney’s Hollywood Studios under the direction of a real Disney animator? These drawings make awesome souvenirs-our family has done the Animation Academy several times and it’s always a hit! Now that we can draw Olaf, even better! With the new Disney Cruise Line itineraries departing from Copenhagen to the Norwegian fjords in 2015, and the overwhelming popularity of FROZEN, I am giving away one copy of FROZEN on DVD/Blu Ray Combo Pack to one lucky Family Friendly Frugality reader! Are you ready to book your next Disney vacation? How about an adventure on Disney Cruise Line? Contact Carrie at [email protected] to get your free no obligation travel quote and enjoy the free perks of booking with Destinations in Florida-an Authorized Disney Vacation Planner. I know, Maria! We do too! And the music is awesome as well!